← Regency Nursing Earns Highest 5 Star Rating! 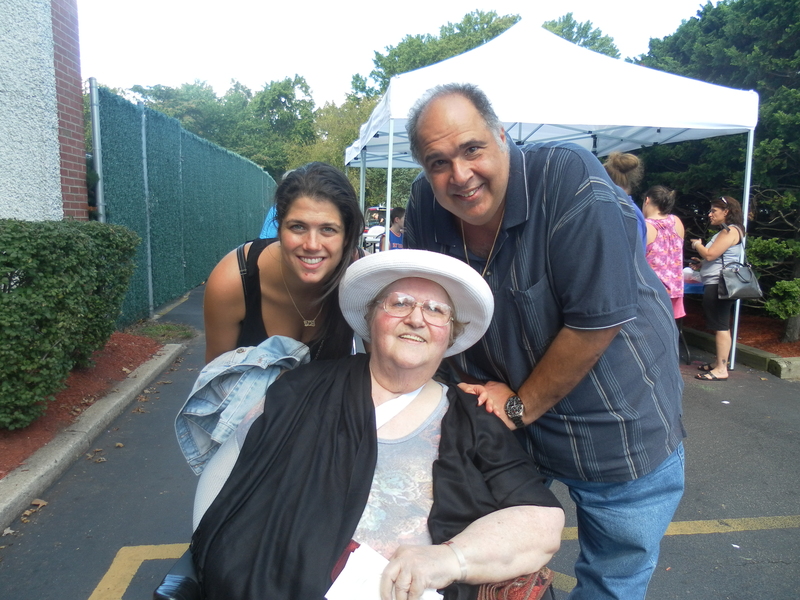 Regency Nursing Hosts Annual BBQ Celebration! Posted on September 12, 2012	by Judah Gutwein, L.N.H.A. Submitted for publication by: Marie Barnes, Corporate Marketing and Public Relations Director, Regency Nursing Centers, New Jersey. 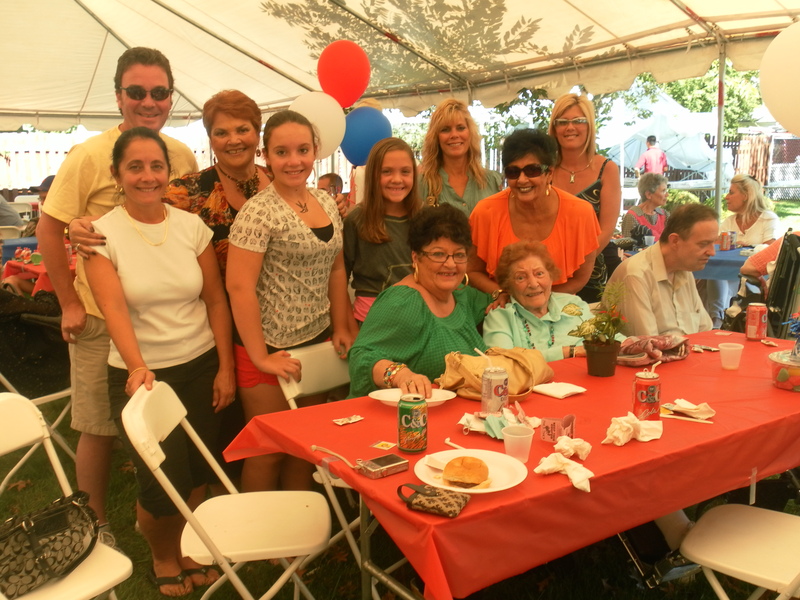 Hundreds of family members and friends gathered for a fun-filled Annual Family BBQ hosted at Regency Park Nursing and Rehabilitation Center, 3325 Highway 35, Hazlet, NJ. This year’s event was held on Sunday, September 9th, to provide all our residents and patients a wonderful afternoon, filled with their loved ones, good food, and lots of smiles. This year the event also fell on Grandparent’s day, a fitting day to visit and celebrate with that very special family member. A delicious buffet barbecue luncheon was served, outside in the facility’s park, situated on the side of the building. Joey Sudyka provided live entertainment, dancing, ice cones, games, moon walks, and plenty of entertainment for the broad spectrum of ages that attended. While the day is planned for all the patients and residents, along with their family members, the staff enjoys bringing their family for a delightful afternoon. All that enter the doors of Regency Park feel the warm, family atmosphere on a daily basis. Pictured, is the family of Judah Gutwein, Admissions Director at the facility, after the children had their faces painted with their special character, done by the face painters at the event. Pictured is the family of Italia Marinella, resident at Regency Park, who gathered to spend a wonderful afternoon with their loved one! 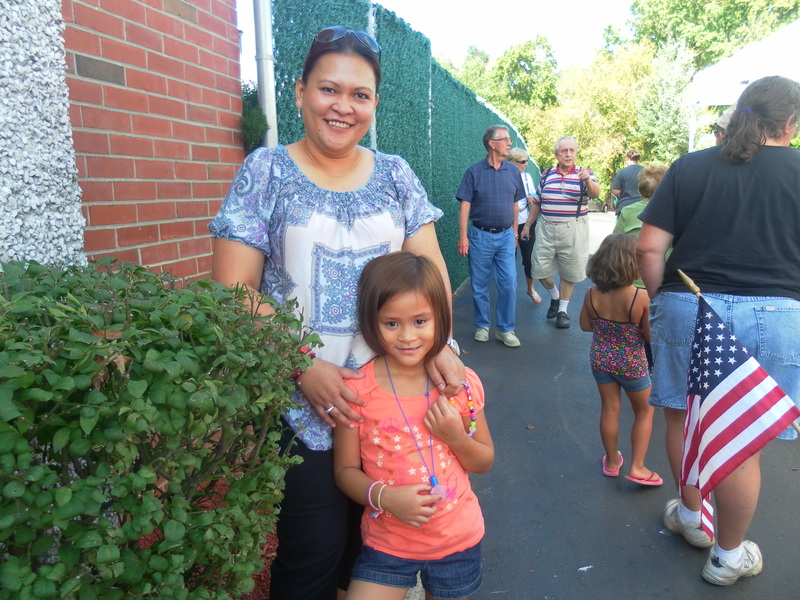 Director of Nursing, Beverly Sevilleno, with her daughter, also enjoy the festivities! 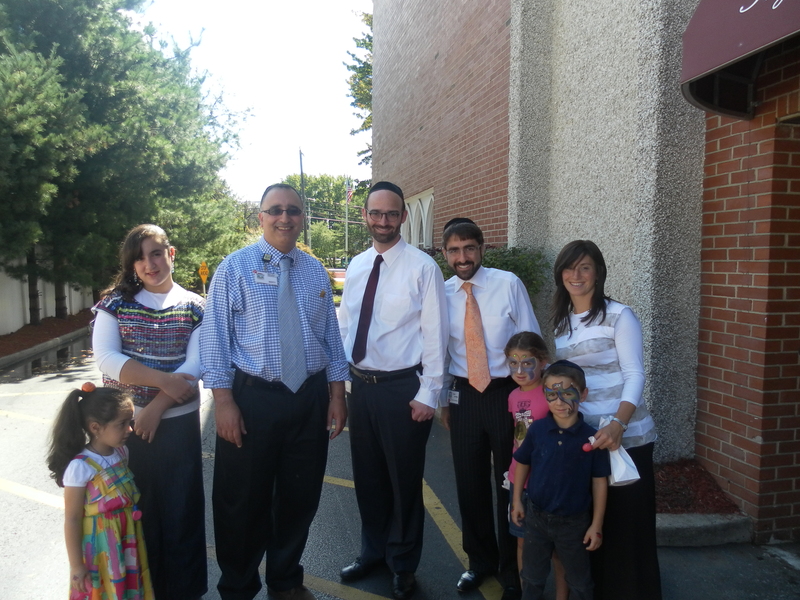 Pictured from left to right, is Corporate Administrator, Marty Bengio, with two of his daughters, Administrator, Joseph Bernfeld, along with Judah Gutwein, his wife and two of their children. A wonderful day was had as well by Sara Mizrachi and her family who have enjoyed attending this event since Sara became a resident! This entry was posted in Tidbits and tagged best elder care rehab in jersey, nursing home in hazlet, nursing homes in aberdeen, nursing homes in hazlet, nursing homes in hazlet nj, nursing homes in holmdel nj, nursing homes in middlesex county, regency nursing, regency park nursing center, rehab centers in monmouth county, rehab facilities in keyport, rehab places in monmouth county nj. Bookmark the permalink.